Steep inclines and hills are a cyclist's worst enemy. It's almost always a taxing experience to ride a bike going up these terrains. 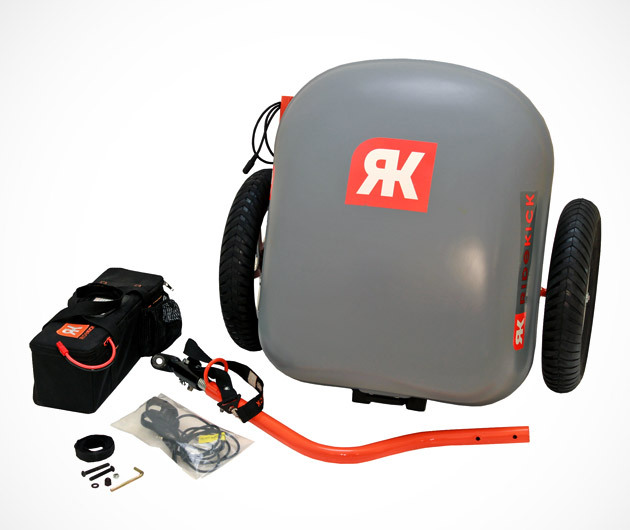 Ridekick's Electric Bicycle Trailer ($700) makes it easier on your legs as you traverse through demanding vertical paths. Attach it behind your bike and watch it give you a boost of up to 19 mph. With it, riding uphill would pretty much feel like traveling across a flat road -the Bicycle Trailer renders doing that to be virtually painless. Ride up to 8-12 miles on a full charge while at the same time being able to manage your speed with a simple throttle. It's easily installable in most bikes; and most importantly, it doesn't feel as if you're dragging something when you have it attached on your cycle.